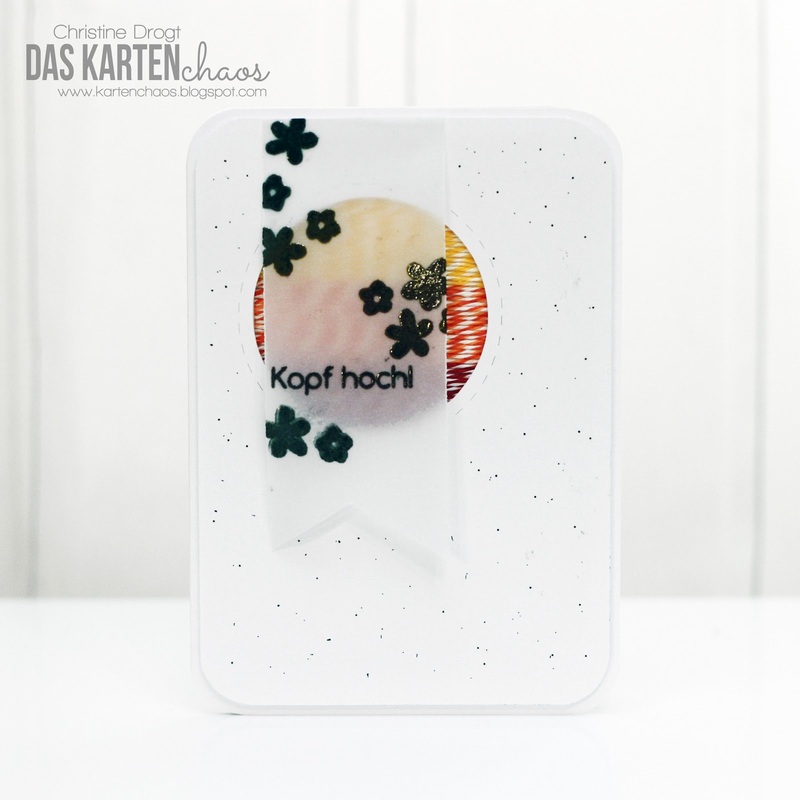 I had a hard time with myown challenge - the first card i made was a CASE of Yana Smakula's card over here but mine turned out WAY too girly for me - you can find it at the end of this post. So I went for something else and came up with this very simple card. the sentiment says "keep your head up". Etwas Embossing auf Vellum und ein Fenster mit Garn - das war's schon. Und ich mag die Karte immer noch nicht besonders. Now hop over to see Anni's wonderful creation! Oh wow - I LOVE both cards!!! The first one is fantastic - love the twine usage and the colors!! And also that speckled look on white!! The super girly card ROCKS!! 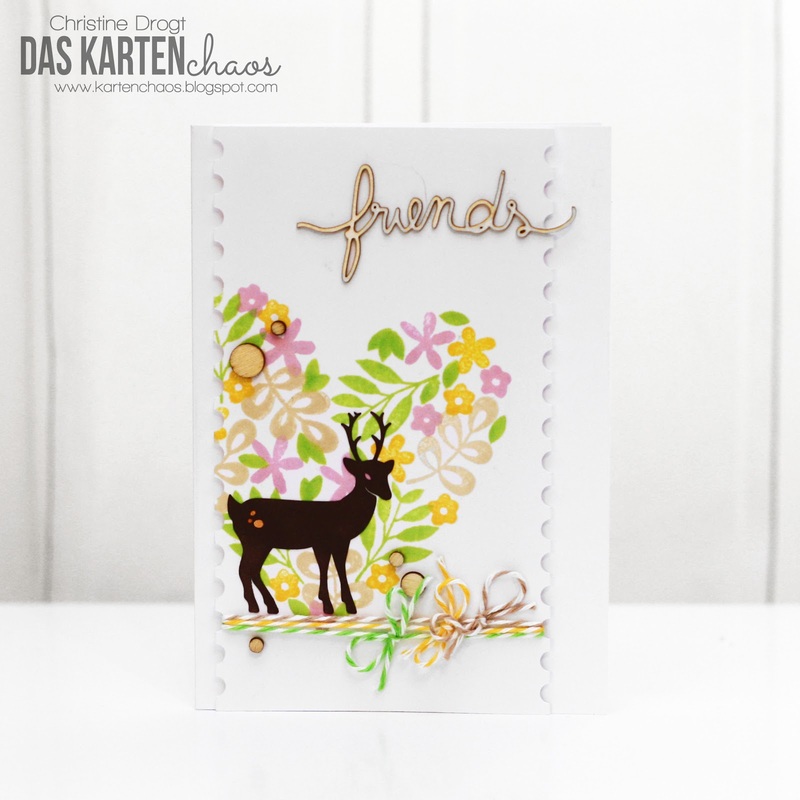 Love the florals and colors and the way you altered that 'friends' chipboard!! AMAZING!!! Also, ich mag, dass du dieses Mal keine "Karte", sondern eine "Katze" gemacht hast :-) (I Love Tippfehler) Und auch wenn du diesmal nicht zufrieden bist finde ICH immer toll, was dir für sehr simple aber total geniale Dinge einfallen. Einfach selbst da aufs Weiße diese Punkte machen... einfacher gehts nicht! Und das macht die Karte voll toll!